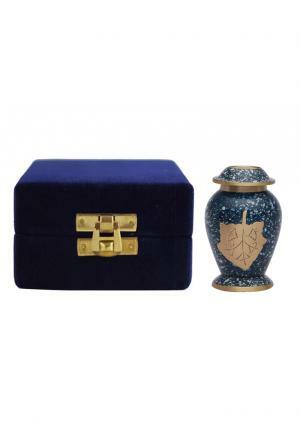 Autumn Leaves Patina Keepsake Urn is among those classic and unique urns which are used to keep the memories of the loved ones in special and classy way. 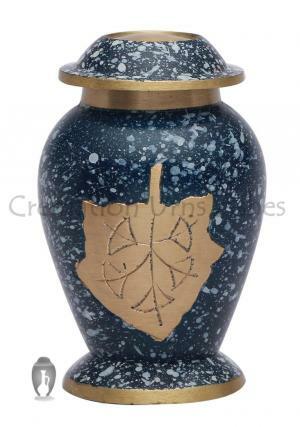 Having a pattern of autumn leaves on it, this keepsake urn is made up of brass. Blue color and golden leaves pattern gives a very rich graceful look. It looks elegant and is eye catchy. Patina coating gives it strength as well as protects it from corrosion or weathering. 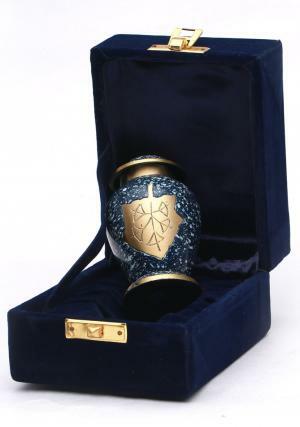 This urn is hand crafted and is made by our experienced craftsmen. The autumn leaf symbolizes the feeling of fulfillment and rich which relates to your feeling with your dear one’s you lost. Similarly the purple color symbolizes wealth and royalty that means how deep and intense the relationship you shared with the person. 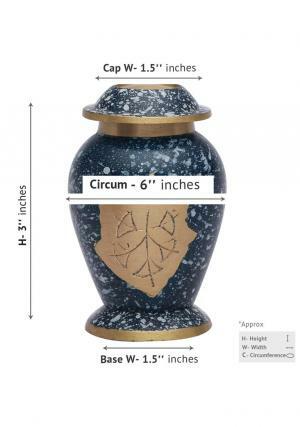 This 3 inches height and with about 0.3 kg of weight urn has a top lid through which the ashes are put into the urn. 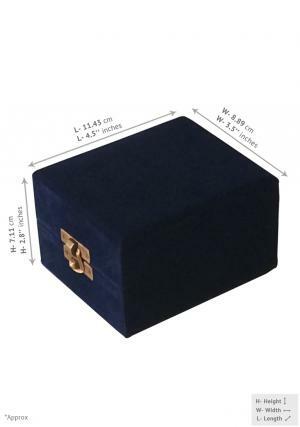 The lid is threaded for the security and tightness. 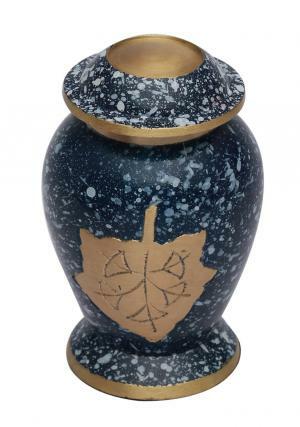 With its size and beauty, this urn is a stunning piece of memorial to your loved ones.